Now that summer is here, outdoor time is a treat. So, it’s time to get creative with ways to enjoy the fleeting summer weather while it lasts. This is also an opportunity to get to know your neighbours, since socialization isn’t necessarily at its peak while everyone is cooped up indoors during chillier months. 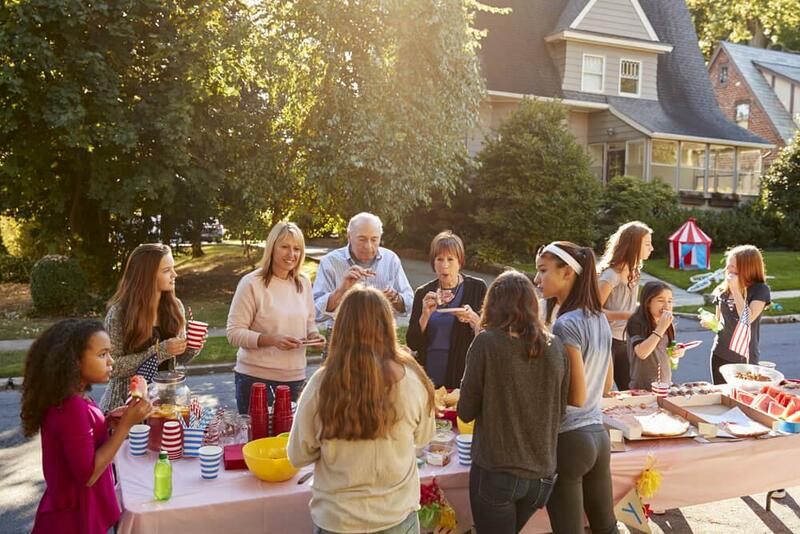 The hunt for exciting outdoor activities paired with the challenge of getting to know your neighbours can easily be remedied with a neighbourhood block party! And given how much waste parties can produce, it would be responsible and rewarding to consider taking a more eco-friendly approach. Here are some tips to make your eco-friendly block party go off without a hitch! Before you put any trouble into planning the block party, make sure that you do your research! Does your neighbourhood even allow block parties? 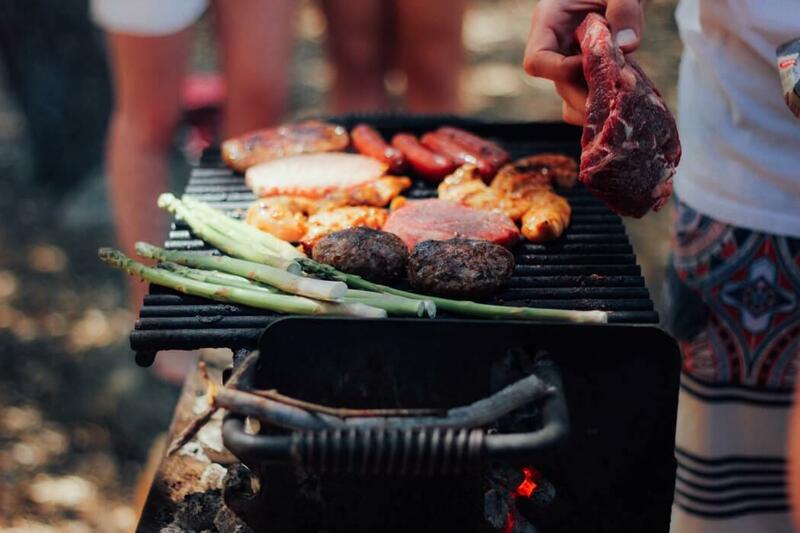 Double-check the municipal guidelines to see if you need a permit to block off your street or if you can catch a fine for things like grilling, loud music or keeping the party past a certain time. This is also a good time to assess which aspects of the party will produce waste and how that can be avoided. While the simplest choice would be to have the party on your street, it might not be so straightforward for all communities. For condo dwellers, you might consider hosting your block party in your building’s party room, depending on its size and capacity. Meanwhile, if you’re located on a busier street, opting for a nearby park might be a better choice. The next step is all about getting the word out, so get creative and flex your artistic muscles by designing a flyer that can go around the neighbourhood or directly into your neighbours’ mailboxes. If you have your neighbours’ email addresses or social media handles, pass the message along that way to cut down on paper waste and foot work. Word of mouth is also an efficient and underrated option! It’s waste-free and can serve as a great ice-breaker when chatting with your neighbours. If you would rather use physical invites, print them on certified recycled paper. No matter how big your community is, organizing a block party is a big task. So regardless, asking for help is always a good idea to avoid burnout. Working closely with your neighbours to organize the block party is also a great opportunity to bond. Once the guestlist is established, reach out to your neighbours for help. You can assign responsibilities to each attendee. Will you be hiring a caterer or going the potluck route? Are all hands on deck for post-party cleanup or will select neighbours be sticking around afterwards to clean? These are all important details that can seem daunting when you are taking them on by yourself, but with the help of your neighbours, it’s much more manageable. While it may seem that adding the eco-friendly layer to your block party is creating extra work, it can cut costs significantly. 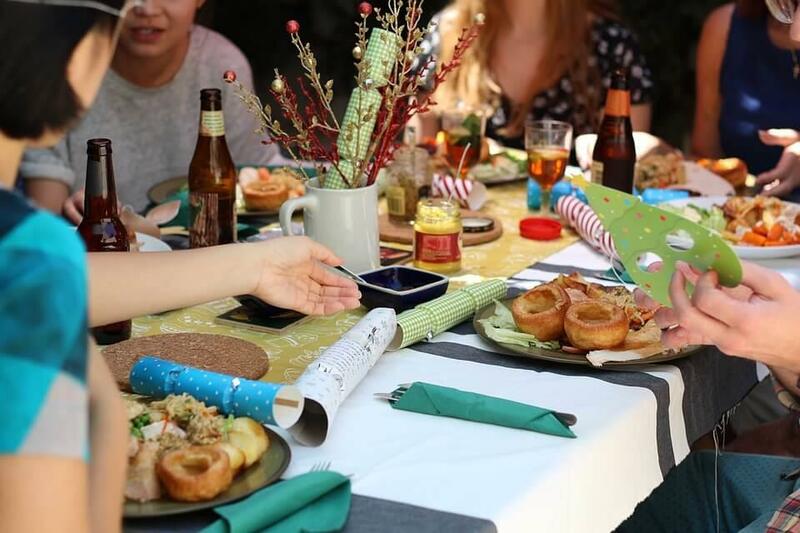 For example, since the party will be close to home, have your neighbours bring plates and cutlery. This not only allows you to steer clear of disposable utensils, but it’s also free! You can source other things from your neighbours’ homes as well, such as tablecloths and decorations. Also, if there are leftovers, encourage everyone to take them home to avoid food waste. You can take it one step further by challenging all of your neighbours to power off everything that isn’t in use at home while they’re at the block party. Neighbours will be more inclined to go the eco-friendly route when they realize that it is also the more cost-efficient option! Through all of the planning, be sure to remember the true purpose of the party is to meet neighbours and have lots of fun!